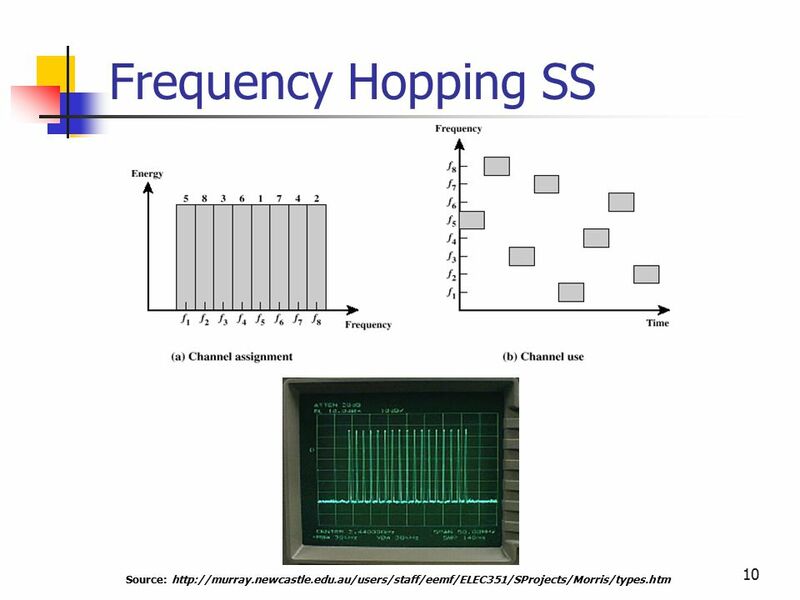 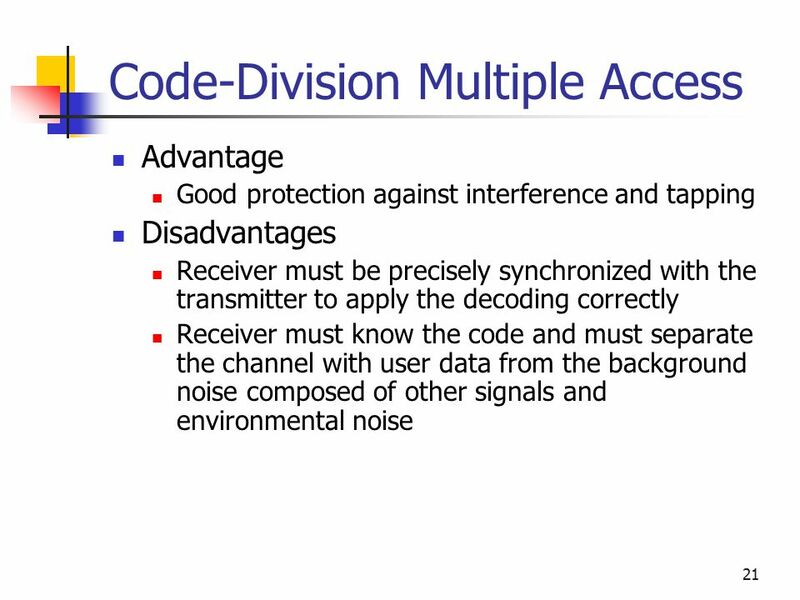 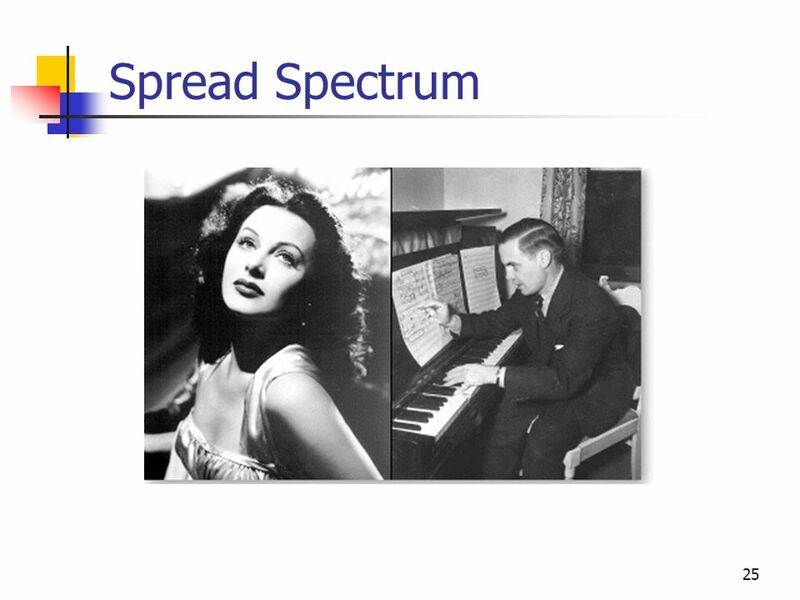 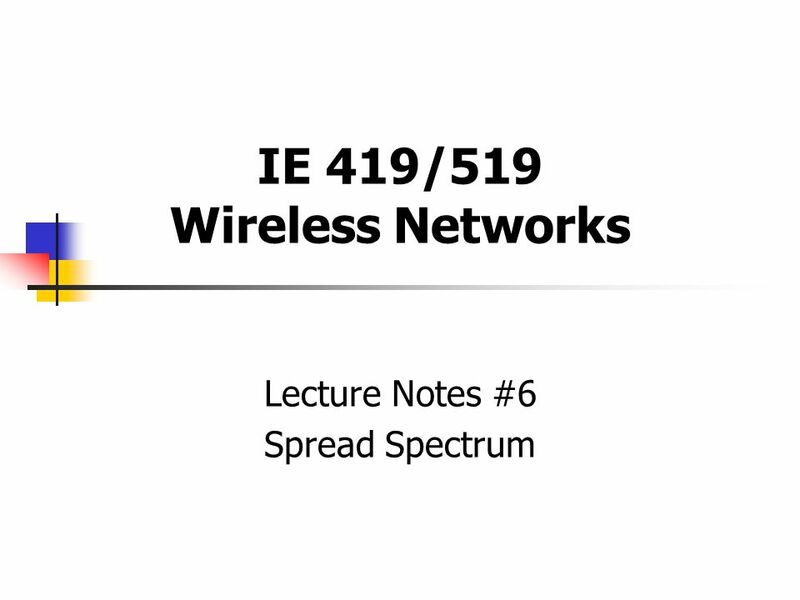 Download ppt "IE 419/519 Wireless Networks Lecture Notes #6 Spread Spectrum." 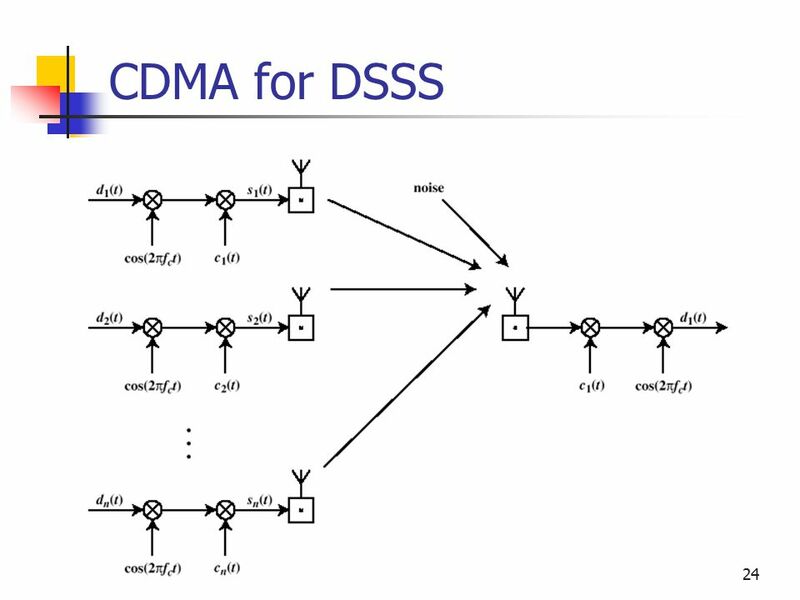 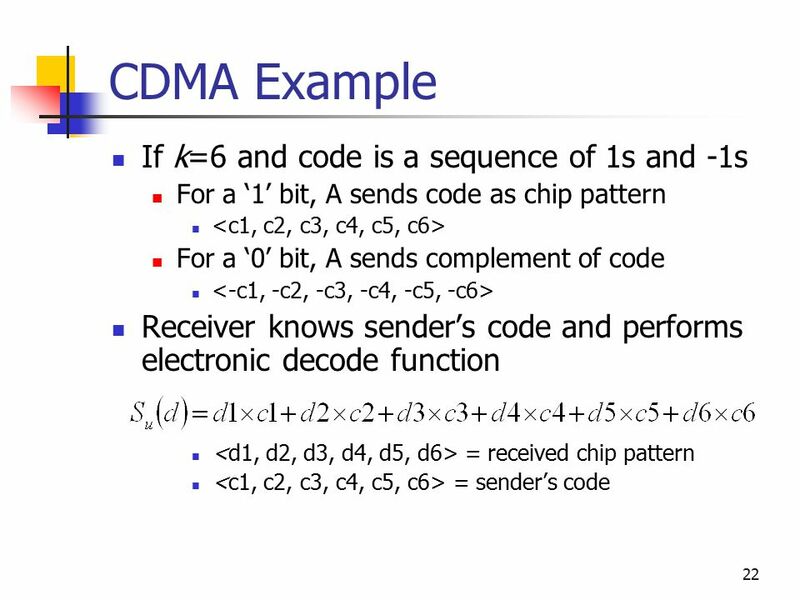 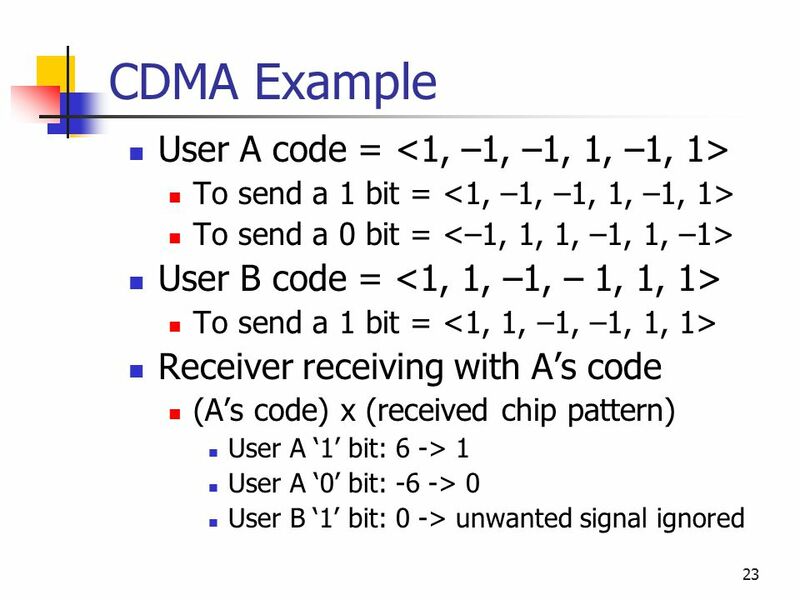 Chapter Thirteen: Multiplexing and Multiple- Access Techniques. 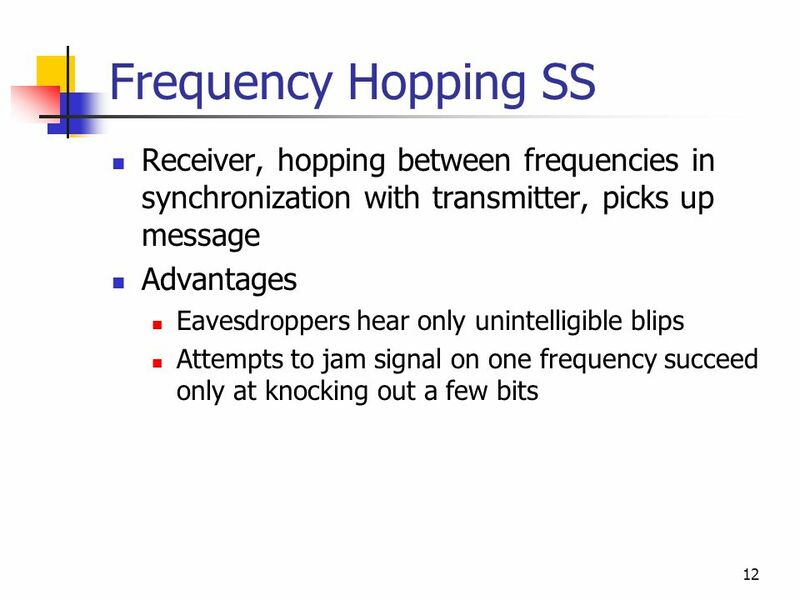 EE578 Assignment #5 Abdul-Aziz.M Al-Yami November 8 th 2010. 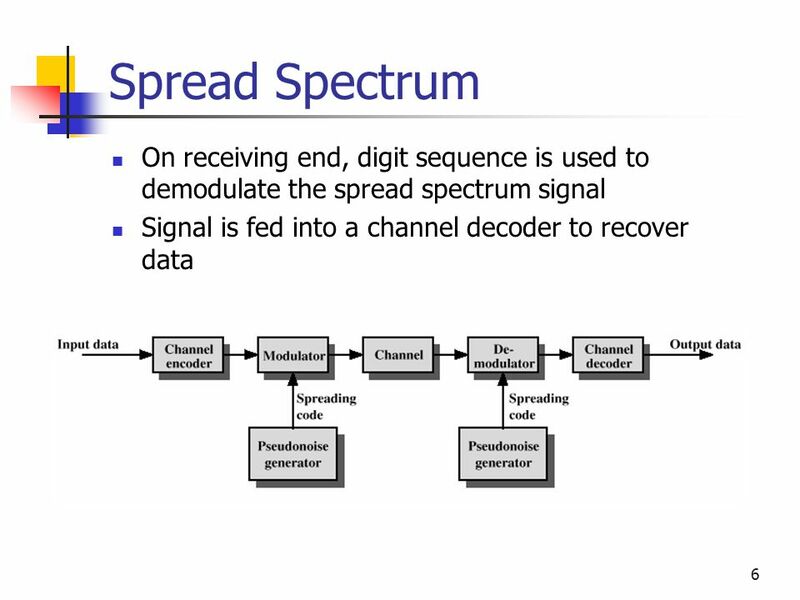 Spread Spectrum Chapter 7. 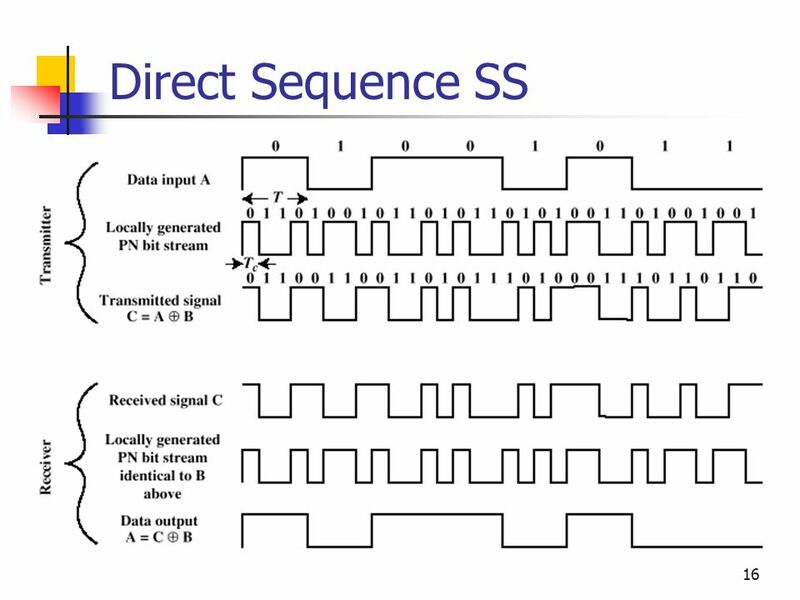 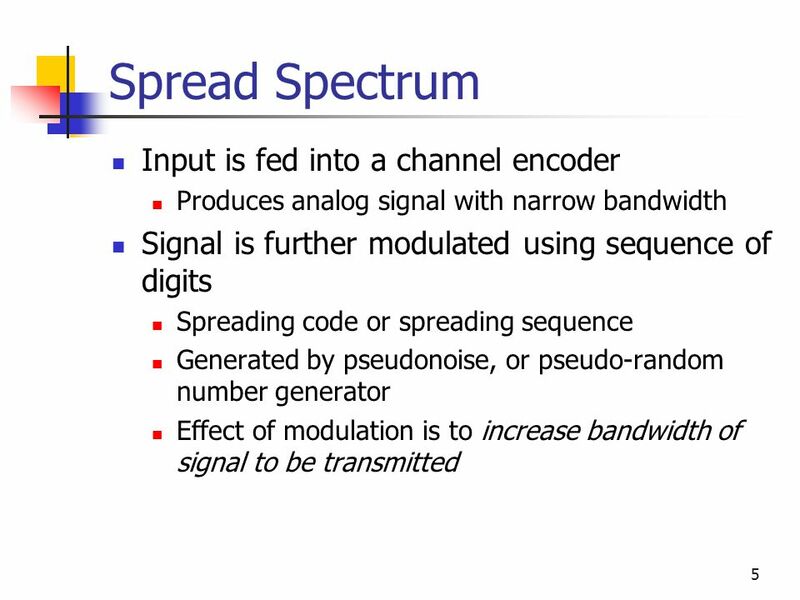 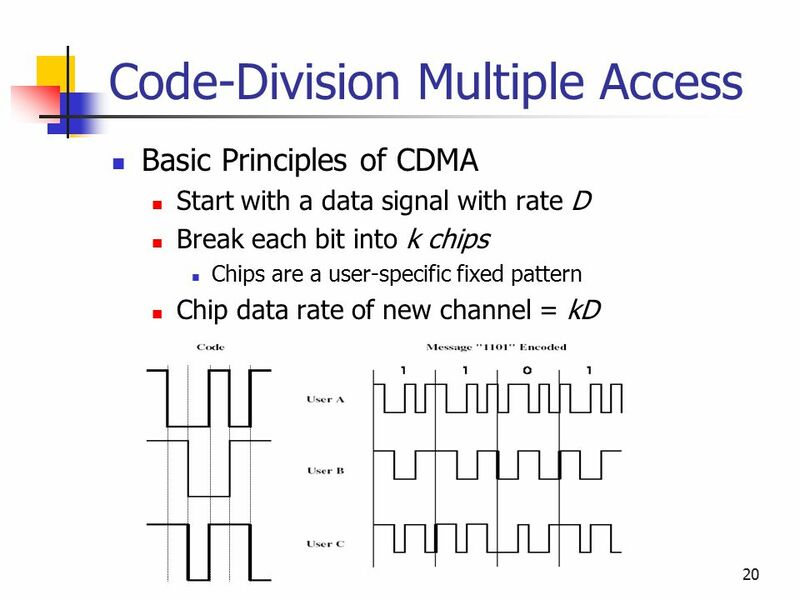 Spread Spectrum Input is fed into a channel encoder Produces analog signal with narrow bandwidth Signal is further modulated. 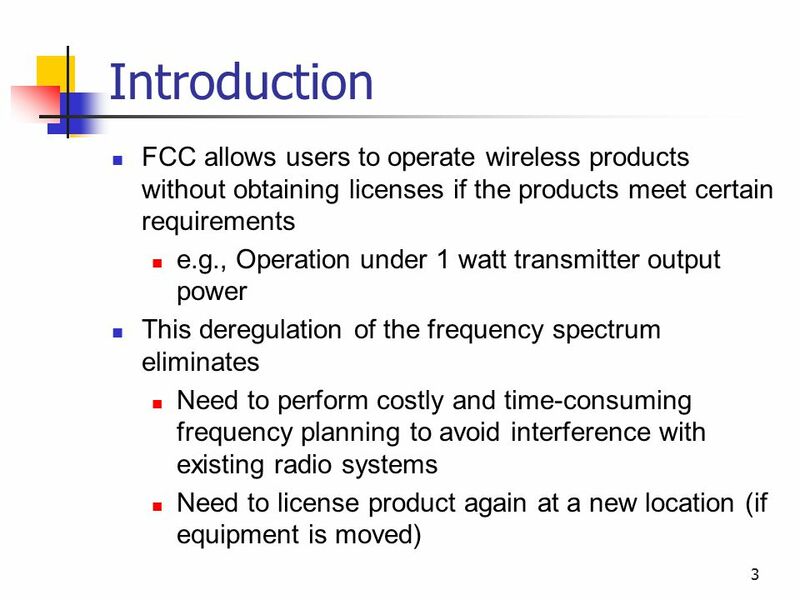 Wireless Computer Networking Melanie Hanson May 6, 2002. 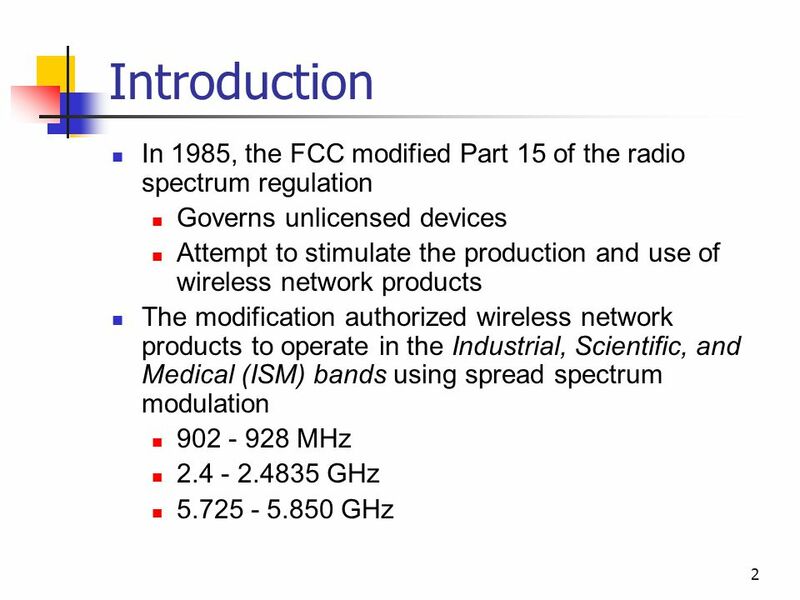 Wireless Networks and Spread Spectrum Technologies. 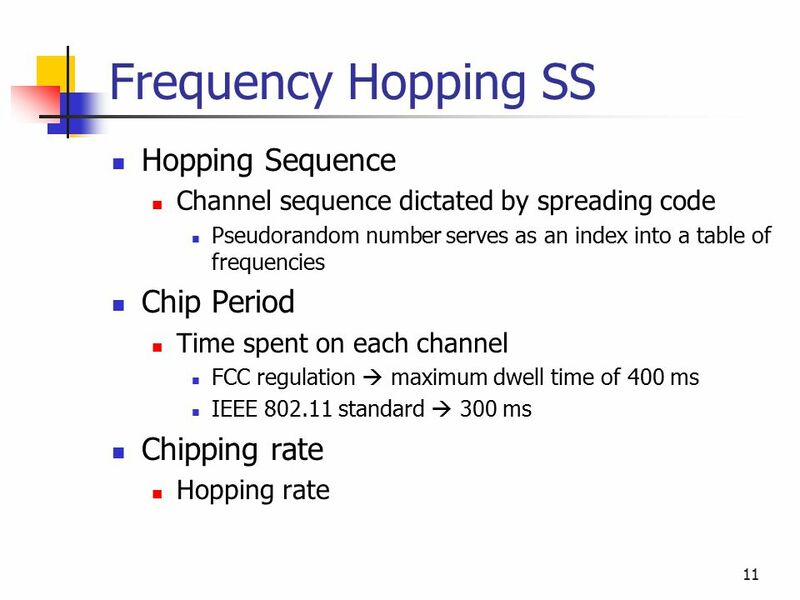 F ACULTY OF C OMPUTER S CIENCE & E NGINEERING Chapter 03. 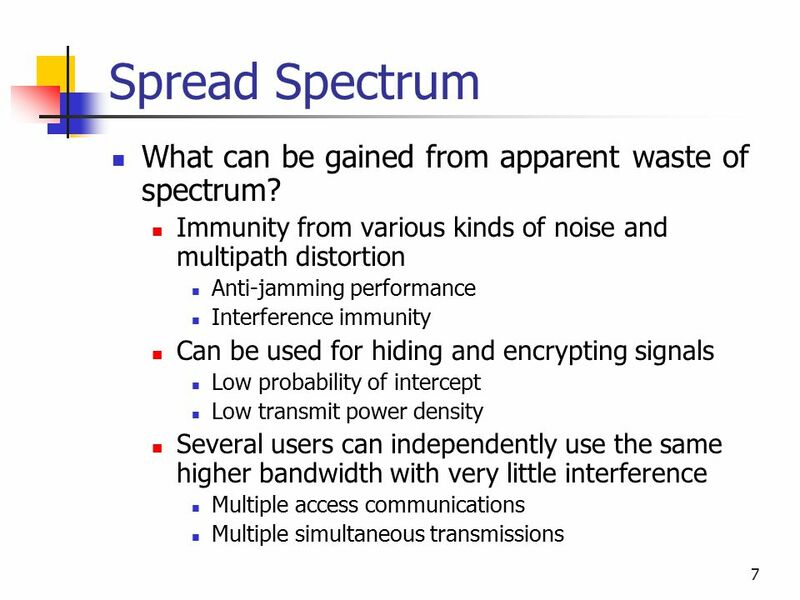 Spread Spectrum Technologies. 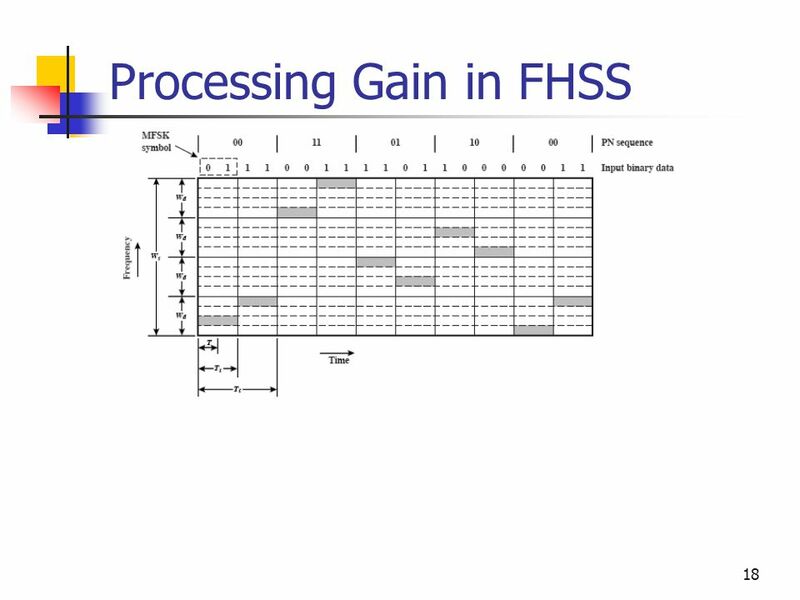 FHSS vs. DSSS Presented by Ali Alhajhouj. 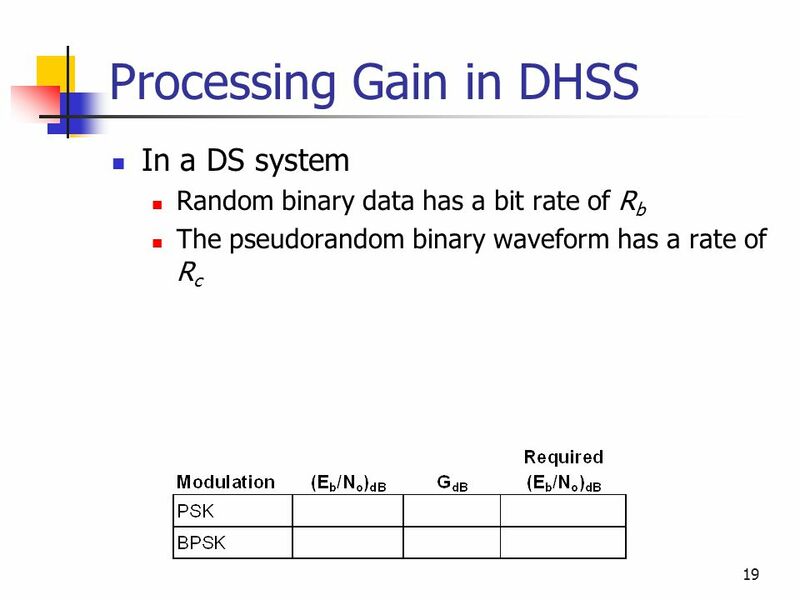 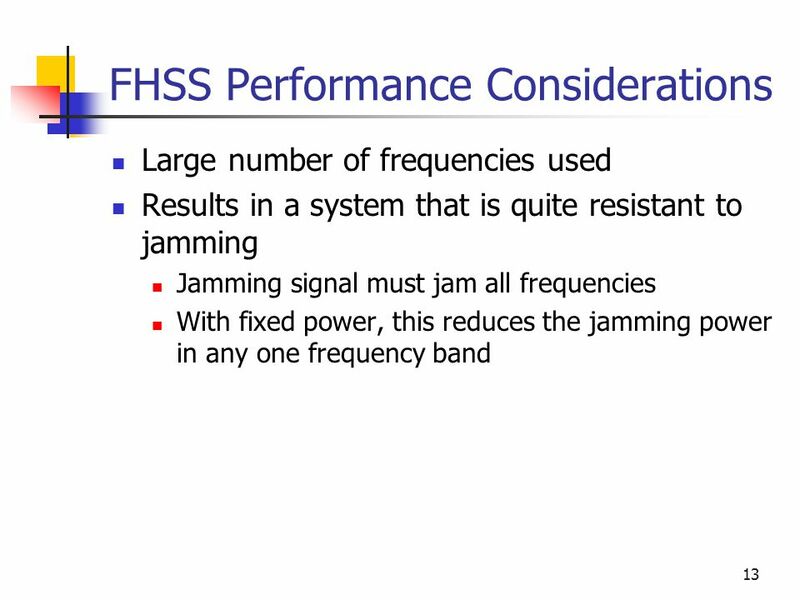 Presentation Outline Introduce the issues involved in the system behaviors for FHSS and DSSS systems used in. 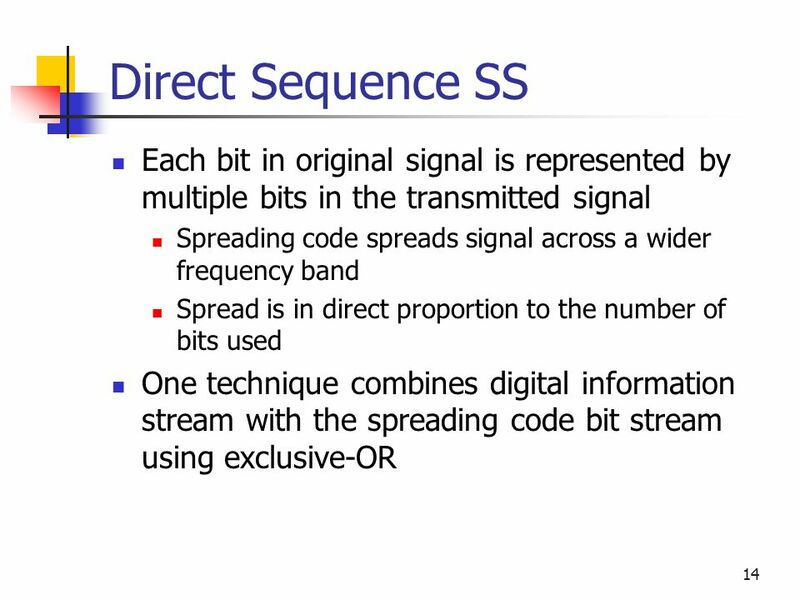 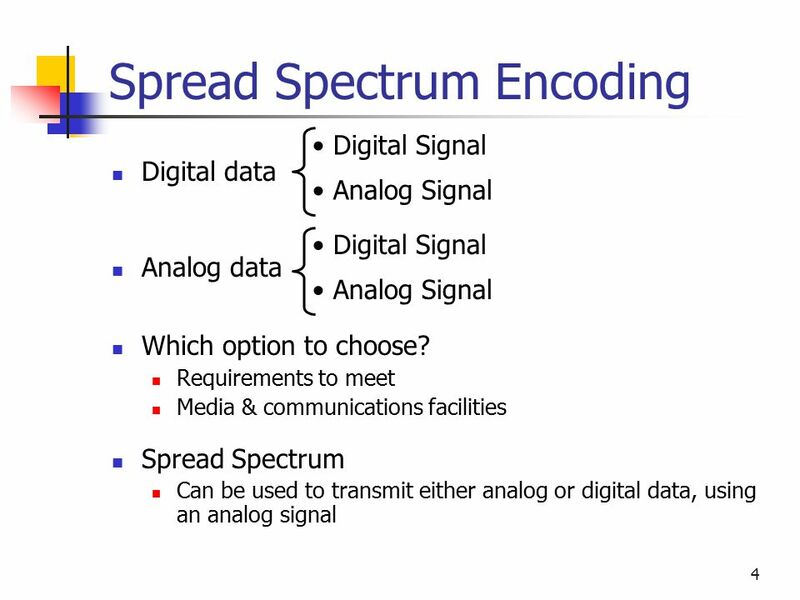 Data and Computer Communications Eighth Edition by William Stallings Chapter 9 – Spread Spectrum. 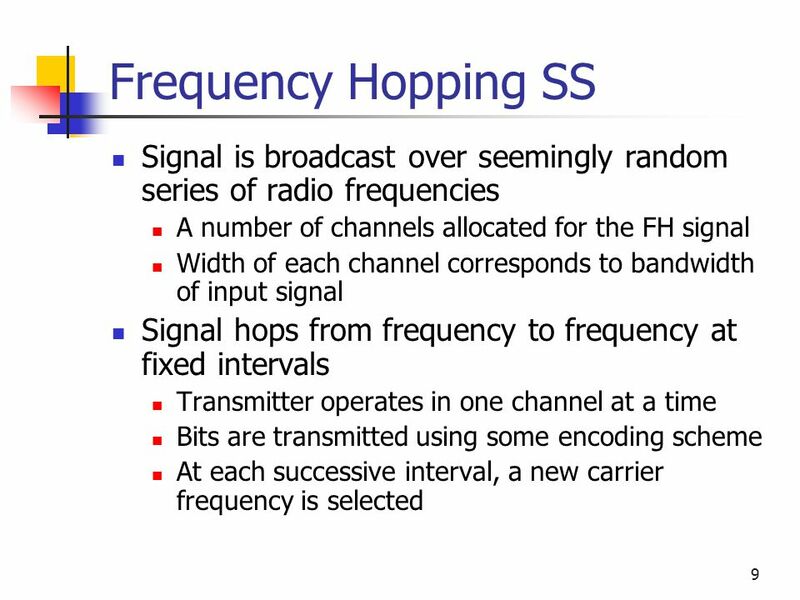 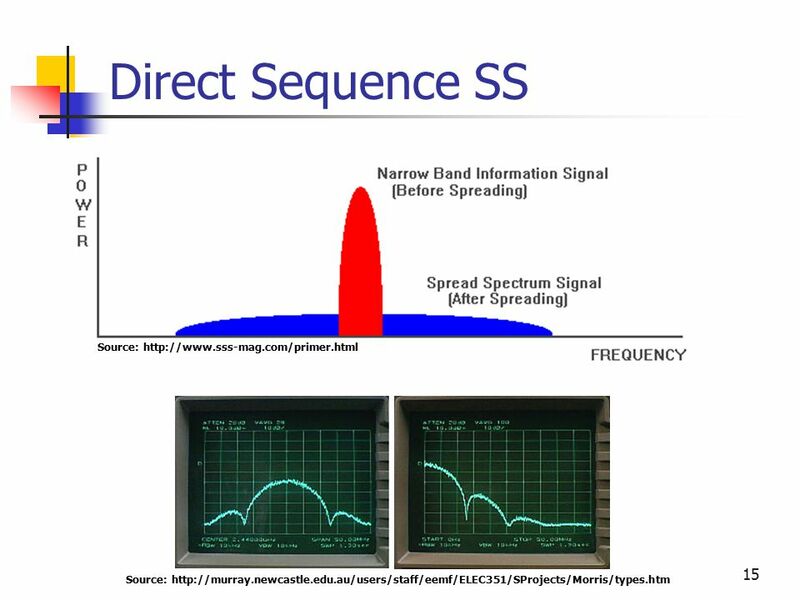 SPREAD SPECTRUM In spread spectrum (SS), we combine signals from different sources to fit into a larger bandwidth, but our goals are to prevent eavesdropping.